The Short Version: The Cincinnati Reds defeated the Cubs thanks to the big bat of Eugenio Suarez. The good guys have now won five in a row, and eight of their last ten. Are you not entertained? 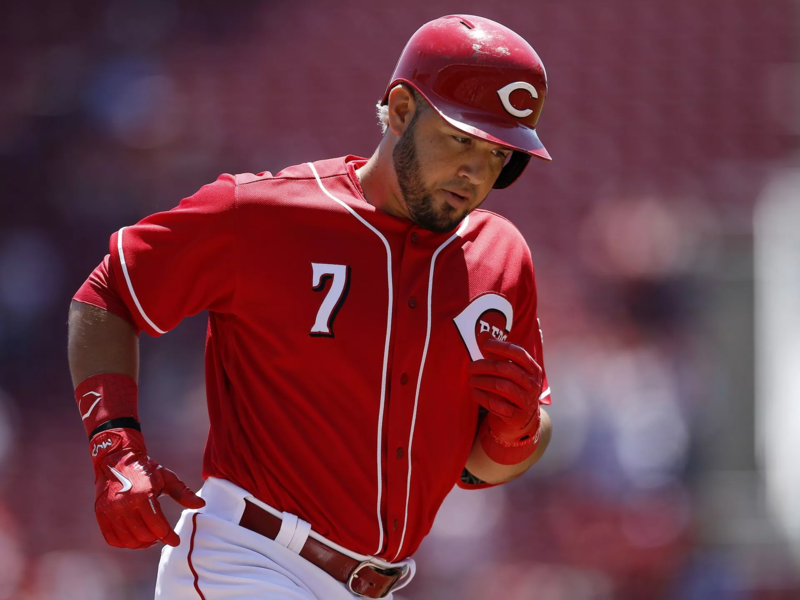 –Eugenio Suarez continues to mash the baseball. He was 3 for 4 and hit his 16th home run tonight, a two-run blast in the fifth inning that gave the Reds a lead. It also gave Geno 57 RBI, which leads the National League…despite the fact that Suarez missed 16 games with an injury. –Joey Votto was 2 for 3 with a double, a walk, two runs scored and an RBI. –Outstanding bullpen work from Kyle Crockett (struck out the only batter he faced in his Reds debut), David Hernandez (six up, six down), and Raised Iglesias (save, perfect ninth inning). –Luis Castillo: one bad inning, the fourth; really, just one bad pitch to Kyle Schwarber. Final line: 5.2 innings, three runs allowed on four hits and a walk, five strikeouts. Really not bad at all. He’s getting closer. –Curt Casali doubled and scored a run, and he’s now hitting .391/.440/.652. That ain’t bad, friends and neighbors. Jose Peraza had a hit and a walk, and scored two runs. –In the bottom of the seventh, Cincinnati had two runners on, no outs, and one run had already scored. Jesse Winker inexplicably squared to bunt. That’s right, the Reds volunteered to give up a free out in a two-run game. The inevitable happened: Winker popped a bunt up and was retired. Then, one pitch later — boom, double play, inning over. Just horrific game management there. Remember this moment when someone suggests that the Reds should bring back Jim Riggleman next year. –Five wins in a row. Eight out of ten. Since May 8: 21-18. In their last 54 games, the Reds are 27-27. –If Eugenio Suarez — now hitting .304/.390/.585 — isn’t an All-Star, they should just cancel the game. –The Reds got on the board in the bottom of the second. Casali doubled off the left field wall with one out. Luis Castillo and Billy Hamilton followed with singles to score Casali. –By the time the fifth inning rolled around, Cincinnati was down 3-1. Peraza led off the bottom half with a single, stole second base, then scored on a Joey Votto single to center field. Suarez followed with a homer to center, and the Reds had regained a 4-3 lead. –They extended that lead in the seventh, when Vote Votto walked to lead off the inning, and that was followed by Suarez and Adam Duvall singles. Then came the bunt and double play mentioned above to snuff out the rally. –Cincinnati scored their final run in the bottom of the eighth. With two away, Peraza walked and stole second. He scored on Alex Blandino’s RBI single to right field. Reds 6, Cubs 3. Yes, itÃ¢â‚¬â„¢s true. If the Cincinnati Reds were to win all their remaining games in the 2018 season, they would finish 117-45, which would surely be enough to secure at least the second Wild Card slot in the playoffs. Plus, theyÃ¢â‚¬â„¢d be on a 92-game winning streak, which has to be close to the all-time National League record. I’m starting to think it’s gonna happen, you guys. –Anthony DeSclafani gets the start tomorrow afternoon, and I like Cincinnati’s chances. Eugenio Suárez' 12-game hitting streak is a career high and ties José Peraza’s (5/26-6/9) for the longest by a Reds batter this season. I'm not worried about Castillo. The stuff is too good, and the command is fine. He will find a way to generate softer contact with that skill set, and no way his ridiculously high HR/FB% doesn't come down some. Jesse Winker leads National League rookies in walks while ranking second in both on-base percentage and multi-hit games (15). Are the Reds in first place yet? I like it extra when the Reds go against the Cubs. Do it again tomorrow. Why not??? Suarez for Dancing With the Stars? Why not? They like sports heroes on there. Another good team win. I was a little overly discouraged by Castillo’s 4th inning. But he came around after that HR. He had 15 starts last year and now 16 this year. A comparison look at his stat lines and there is some reason for concern. It will play out though. Big start for DeSclafani tomorrow. Looks like Jonathon India will be in a Grreneville Reds uniform by next weekend. Florida is down 5-2 and they are not looking very good. Got to get India signed quickly. I still don’t get the idea of Batting the pitcher 8th. Just don’t get it There was a moment in the game with runners on, two outs and the pitcher faces Castillo instead of Hamilton. Billy’s no Ted Williams but c’mon, dude can hit better than a pitcher! Yeah…but then you’ll have Billy on base for Joey, Schebler, etc. You don’t want to play Dusty ball where Stubbs would get on batting 8th and they’d waste an out bunting him over when his steal rate was 80%? What bugs me is Tucker batting 2nd. Need some speed there or atleast one of the Reds better hitters. ThereÃ¢â‚¬â„¢s not much difference between the PA over the course of the season from 8th to 9th in the order. By batting a regular hitter in the 9 hole you theoretically increase the opportunities for your best hitters to drive in runs. Gratifying that the Reds are obviously playing better now. The key is solid starting pitching. You can say the Castillo did not pitch “great” tonight, but he didn’t get shelled, either. The homer that Schwarber hit was a high fastball at the outside – top of the strikezone. It was not exactly a fat pitch down the middle. Schwarber tomahawks the pitch the other way. Hernandez in relief was just about unreal. For the most part, the Cubs looked clueless against him. Maybe they can play > .500 ball the rest of the way, and end up with a respectable season. It might bring the fans back. Lol… liner over the head. Peraza and Billy contributed as did Blandino and Casali off the bench.Castillo is oh so close to being dominate and Suarez certainly is becoming our best all round player.Pen has been great but it all starts with the starting pitching.Don’t want to drink too much of the kool aid or spoil a good thing but all of a sudden are starting staff looks pretty good.Our recipe is no different from a lot of teams in that we need our starters to keep us in the game for 5 or 6 innings and give up 3 runs or less and we have a chance. They’re scoring too though! They normally find a way to lose 8-6 or lose 3-2 when they pitched a decent game. Its been a real team effort lately. Billy, Peraza, and Duvall have all had key moments. The staff has always looked good to me, even when the kids were struggling. Castillo/Disco/Mahle/Romano should be a pretty solid, possibly great, staff by 2020, and I really hope Garrett joins them. The Reds really aren’t far away. Some combination of Suarez/Senzel/India should sort the infield by the end of next season. Hopefully they can package Scooter, Billy, and one of our young starters in AAA for a true CF. Winker is in LF for the next 6 years, at least. You could do worse than Schebler in RF. C is sorted for awhile. 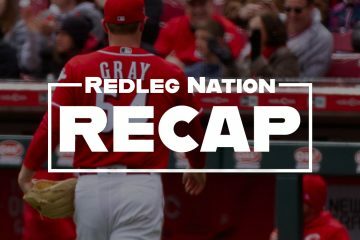 The Reds are already a .500 team (horrendous start aside), and it’s not hard to imagine them continuing to improve and actually having a winning record next year, especially with Senzel and India coming soon. 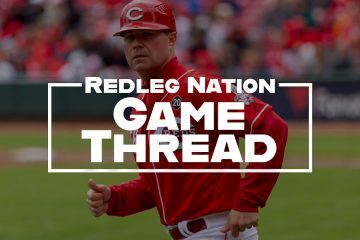 The key will be trading for a good CF, and the Reds certainly have some chips in Scooter, Iggy, and a young starter like Bob Steve (plus if they push Billy Hamilton as a late-game weapon for a contending team, he could help sweeten the pot), and also getting a 5th starter (unless Garrett takes the reins). ItÃ¢â‚¬â„¢s also worth to mention the three SBÃ¢â‚¬â„¢s by Peraza, heÃ¢â‚¬â„¢s now 13 for the season. Still looking for the reason behind the bunt by Winker. Just one negative comment.Please please stop bunting.Winker bunting in that spot is just dumb.Let the dude swing please.He just went deep last night against a lefty brought in just to face him. How good is Eugenio Suarez ? Joey Votto might be the Reds best hitter ever…yet he’s the second best Red in 2018. He’s on fire! Shift on me….I’ll line a hit thru the 2nd base hole. Pitch me up and away and I’ll go deep to CF! Pitch me inside and I’ll jerk a hit to left. Thats the definition of taking what they’re giving! Minimum number of days on bereavement list is 3, max is 7 I believe. Schebler’s been gone two. Somewhat off topic, but was scanning the Reds minor league rosters tonight, and saw that Stuart Fairchild (CF) was just promoted from Low A Dayton to High A Daytona. I wonder if this is then a prelude to promoting Trammel (CF) to AA from High A? Trammel is hitting well at High A Daytona, and is probably due for a promotion. Could happen in a week or so. Fairchild is a college guy, from a good conference (ACC). He should actually be in Double-A now, IMO. The Reds are so slow to promote players. I don’t get it. Trammell should’ve already been in AA. I agree with you, I think he’ll be there soon. DonÃ¢â‚¬â„¢t really mind them taking it a little, I mean a little, slow with Trammell given his age. But it would sure be nice to see him in the show in 2020. If I had to guess, the Reds wanted to get Trammell some extended playing time in CF. He’s been with Siri (a more naturally gifted CF) and/or Friedl (also can stick in CF) pretty much since he’s come aboard. That hasn’t left a lot of opportunities to play CF. Trammell becomes a lot more valuable if he demonstrates he can stick in CF (questions about arm not athleticism or speed). He’s still 2.5 years younger than the league. Siri needed to be promoted because he’s already on the 40-man roster and has the most work to do with plate discipline. Pitchers in AA should provide enough of a challenge there that he will absolutely need to work on it. His hit tool is good enough to succeed in A+ without making improvements in that area. Friedl was also promoted, as an older guy he needed the challenge. This opens up a lot more time in CF for Trammell even with Fairchild moving up. They’ve already moved up Freidl and Siri to AA. Bit of a head scratcher that Trammell hasn’t moved too. I don’t have any official or learned insight but; I wonder if it could have something to do with the Futures game on All Star weekend and keeping Trammell in line to go there. Yes, I saw that too. I wasn’t exactly sure if they were up now or just an up and down promotion to fill roster holes. I think in the next 10 days, there will be a whole lot of minor league moves. Siri was not doing well at High A, which might be due to his knee injury in the Spring. AA Reds has been a tough place to hit for a lot of minor league guys. Also, Florida was just eliminated from the College WS playoffs, so look for Jonathon India to get signed soon. I see him as the next Reds shortstop by 2020. I think he will move through the Reds minor leagues faster than Senzel. Senzel is ready NOW, but just doesn’t have a place to play with the Reds. Something has to give here, shortly. Any news on Senzel being taken out? Hurt his finger. Will be re-examined tomorrow. RN’s Jason Linden was at the game. He may have a report soon. What in the world happened to Brandon Finnegan? Is he done? Wow. 2018 sorting….Homer and Finnegan careers are over???? Yeah, Finnigan got a butt0whippin; didn’t he? I have a suspicion that Finnigan has a substance abuse problem. He fell last summer getting on or off his boat, and hurt his non-pitching shoulder. I think he was drunk. That’s my suspicion too. Something is very wrong. Reds won their 10th game on May 9. They were the 28th team to 10 wins (beating only Baltimore and the ChiSox), and at the time were on pace to go 44-118. Reds won their 20th game on May 28th. Again, 28th to win 20 games, ahead of the same teams (this would be a great time for a relegation is needed discussion, but I digress…..), at this point the club had improved and were on pace to go 57-105. Tonight they won their 30th, the 26th team to win 30 (same two plus Miami and KC). Projection has improved to 65-97. Baby steps to be sure. But as someone who thought the Reds could play above .500 this year, I’m still optimistic that we have a lot of pieces in place. It will never happen, but sign Machado and a front line starter in the off season (with a few associated minor deals to get Senzel in the lineup) and this is a team that could contend for the playoffs in 2019, probably still a year away from being a genuine championship contender. Agree. Go for Machado! Back to this season, it is nice to see the team, both offense and pitching, gelling. I thought .500 was the realistic goal at the beginning of the season, so it’s encouraging to see also that the ship has been more on course lately (somewhat). Not worried about Castillo. He really hasn’t been shelled in recent starts (only 4 hits allowed tonight), but more so providing mistake pitches. If Disco stays steady, then there’s a nice core forming (Castillo, Disco, Mahle). Still not sure about Romano. Garrett should be given a chance again. But if not, the bullpen now is tops. One could say that that part of the rebuild is basically complete. I think that Hernandez or Hughes or both get flipped at the trading deadline. Possibly Iglesias gets traded for something else they need. Herget and Rainey are waiting down at AAA for a chance to pitch up here. Maybe Cody Reed ends up in the bullpen too. Harvey gets flipped at the trading deadline, and Stephenson comes up to replace him in the rotation. I am not very concerned about SS right now. I think that Jonathon India will end up playing SS for the Reds within 2 years. The worst thing to me about the Winker bunt was that he didnt run. If the pitcher hadnt caught the ball, the Cubs would have certainly turned a Double Play, and as slow as Winker is, maybe a Triple Play. Amazingly this team is at .400. ThereÃ¢â‚¬â„¢s no question there are players here to build around. But will the FO make the necessary moves to fill the holes so this team can make a run next season? IÃ¢â‚¬â„¢d like to see a race between Casey and Winker. Harvey, Hughes, & Hernandez have really improved the Reds position for the trading season next month. The Reds can now afford to trade Iglesias, but don’t have to. If teams don’t want to pay Reds price (in prospects) for Iglesias, then offer Hughes &/or Hernandez for less talent. As for Harvey, if he continues to improve & pitches well, his price goes up. Currently, Harvey is just fine in the Reds rotation & there’s no need to move him this July. Krall/ Williams/ Joketty are in a strong bargaining position. I would prefer the strong bargaining position be occupied by only Krall and DW. Time goes on: it’s time for Jocketty to set away from the Red’s front office. Double-digit wins and an ERA under 4.00 for the season. Tyler Mahle has 6 wins and a 3.89 ERA. Sal Romano has 4 wins and a 5.18 ERA. Luis Castillo has 5 wins and 5.70 ERA. Uphill battle, but they can do this. Way uphill battle, but there’s a chance. An ERA under 4.00 and a WHIP near 1.00 by the end of July. Matt Harvey has a 4.79 ERA and a 1.21 WHIP. Uphill battle, but he can do this. Chad, you should’ve written: “Ã¢â‚¬â€œJoey Votto was 2 for 3 with a double, a walk, two runs scored, an RBI, and one mediocre Dancing with the Stars audition.” Would that he would dance that way at every game!!! I don’t want to hear that this is a small-market team so it can’t afford to sign a couple of big-time players to begin to contend next year. All that really means is that the Reds can’t afford to be a “net revenue-sharing payor club” & luxury tax team like the really big-market teams (Yankees, Red Sox, Dodgers, et al). If the FO can sign a cornerstone every-day player and a front line pitcher, revenue will increase with stadium attendance, concession sales, parking, souvenirs, and TV ratings alone. In addition, TV and digital broadcast rights revenues are way up + revenue-sharing profits by being a net-revenue sharing payee club” and luxury tax recipient. I live in Miami. The Marlins are my #2 favorite team. Loria for years kept crying low revenue while never disclosing the $50 million revenue the team received every year from the “net revenue profit-sharing big-club payors.” That revenue was supposed to be reinjected into the team’s payroll. Therefore the team already had at least a $50 million payroll without putting in their own money yet. So pardon me if I am a bit cynical about clubs crying poverty. How much of a payroll head-start are the Reds getting? The team can afford to reinvest into the team’s payroll smartly against their team’s worth. More importantly they should invest into their fan base’s love and enthusiasm for the team’s success. If they do I am sure they will reap the rewards. Please lock up Scooter on a long-term deal today. BTW, his price tag just went up. Good for him. Five wins in a row. Eight out of ten. Since May 8: 21-18. In their last 54 games, the Reds are 27-27. Remember those numbers when the Reds bring Riggleman back. Whoa… wait a minute! These can’t be right! That’s Jose Peraza, the worst player to ever play the game with .309/.373. How can this be? He has a bad approach, we don’t like his swing, he can’t field, his exit velocity is terrible, his OBP is horrible, we can’t have him in the lineup in the same game as Billy, my years of watching from my couch tell me that he’s not an every day player – maybe not even a bench player. btw – look thru the AS ballot at NL shortstops, Jose may not be at the top, but he’s certainly top 1/3rd and he’s 24. I’m still not sold on Peraza. His season slash is still only .268/.312, and his OPS is an anemic .646. But I’m guessing we’ll now get a LONG look at him this season now that Senzel is out of the picture. Amen to that. Baseball is a team sport. Far better to have several guys playing well than just a couple superstar individuals. Those guys above plus Casali, the return of Disco, the removal of Homer, Hernandez & Lorenzen replacing weak bullpen pieces and Romano’s resurgence against free swinging KC and Detroit have the Reds playing decent competitive baseball. Nice to see Votto recover from not lifting the bat off his shoulder striking out with the bases loaded to driving in a run prior to Eugenio doing his thing off a very tough Quintana.